1 mega pixel camera. Indoor use, robust with IP65 rating. 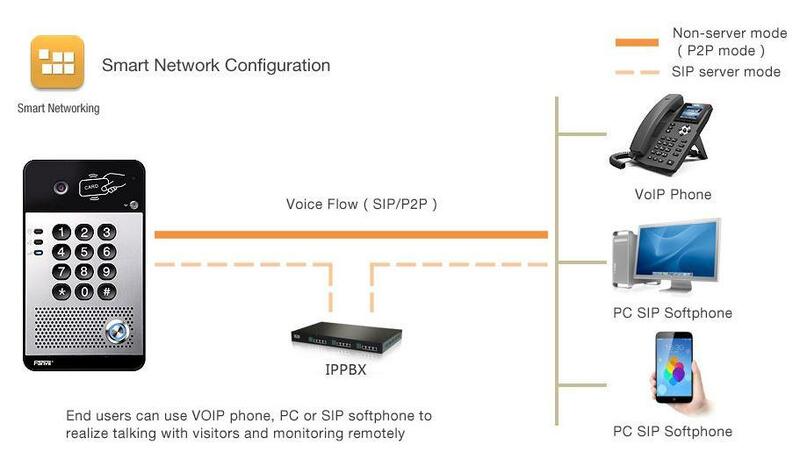 2 SIP lines, Full-Duplex handsfree, Default auto answer. 1 programmable call button. 4 Indicator lights. 1 relay. Door release by DTMF, password, RFID card, remote operator. Supports 500 RFID cards. Comes with 3 FOBS. 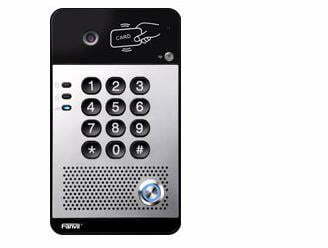 The i30 SIP Video Door Intercom uses standard IP / RTP protocol for voice transmission. It is compatible with major platforms, such as 3CX, Asterisk, Broadsoft, Elastix, etc. The i30 SIP door intercom is designed for indoor use and the robust construction with an IP65 rating offers protection against dust and water ingress.